Last year, the total revenue earned by the U.S. health-and-fitness industry hit an all-time record of $32.3 billion, representing a 44 percent increase over the past five years. By 2023, analysts estimate that the exercise sector could generate as much as $43 billion. In order to stand out in this ever-growing industry, many fitness clubs have added amenities such as spas, massages, and premium workout classes to entice new members. And as we saw yesterday, some high-end customers are willing to shell out $2,000 for a Peloton bike or as much as $300 per month for access to gyms with unlimited classes. Then there’s Planet Fitness, a no-frills gym that costs just $10 per month. Since going public in 2015, the company’s market valuation has quadrupled to $6.2 billion despite the lack of juice bars or yoga instructors at its more than 1,700 locations. Instead, Planet Fitness focuses on appealing to people who may have never been to a gym before. The company provides a simple assortment of exercise equipment such as treadmills and elliptical machines so that its more inexperienced members don’t feel overwhelmed. It also hosts events like free pizza nights to make people feel at ease and welcome. “The atmosphere allows nonactive gym users to feel comfortable and to want to be a part of that community,” said LLC analyst Randal Konik. 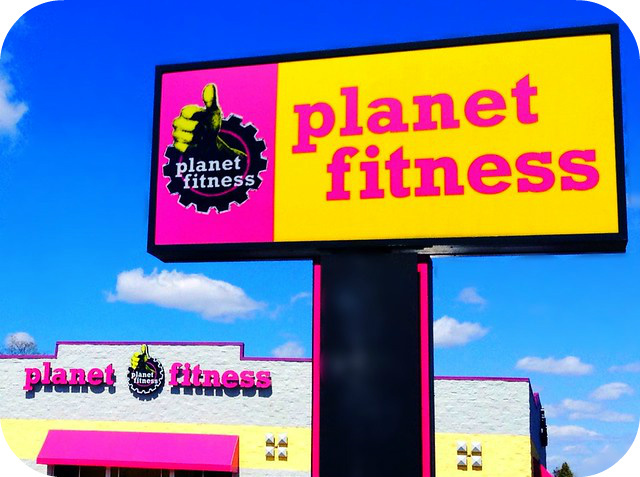 At the same time, Planet Fitness serves as an appealing second gym for people who are more dedicated to working out. For example, a 21-year-old college student named Gabriella Salzillo takes two classes a week at the high-intensity Orangetheory Fitness while making frequent trips to Planet Fitness as well. This allows her to plan her own workouts in a cheap, non-competitive environment in between her more exhausting and expensive Orangetheory classes. Many Planet Fitness members are also young like Salzillo, with millennials accounting for 45 percent of the company’s more than 12.5 million members. Of course, the main goal of Planet Fitness is to appeal to as wide a variety of people as possible: it eventually plans to operate 4,000 sites around the world. How does Planet Fitness work to make new and nonactive gym users feel comfortable? Why is Planet Fitness an appealing option for people in the market for a second gym membership? Source: Jaewon Kang, “No-Frills Gym Chain Bulks Up Thanks to Workout Boom,” The Wall Street Journal, March 19, 2019. Photo by Mike Mozart.